4-5 December 2015. The Sandton Convention Centre, Johannesburg, South Africa. 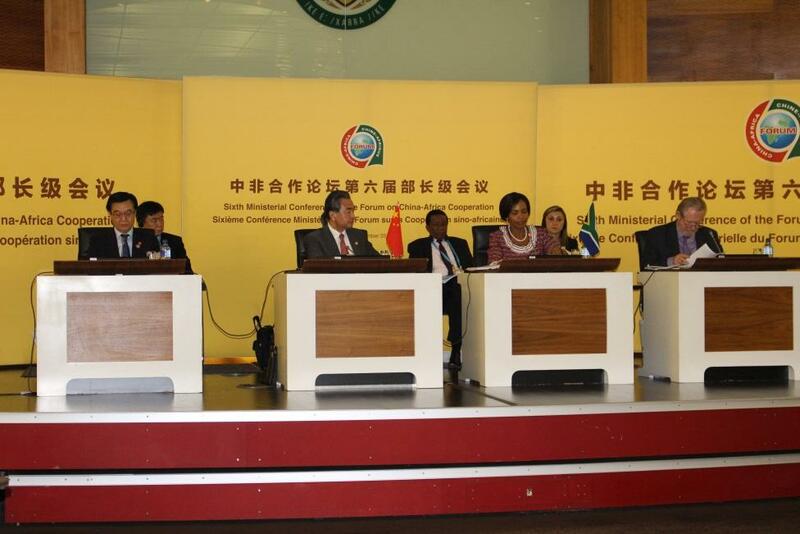 Second Forum on China-Africa Cooperation (FOCAC) Summit. Held under the theme: “Africa-China Progressing Together: Win-Win Cooperation for Common Development ”, the Summit adopted the Johannesburg Declaration and Action Plan, which outlines specific measures aimed at consolidating the growing mutual partnership between Africa and China. The Summit reviewed the implementation of various agreements signed since the 1st FOCAC Summit in 2006, and outlined the course of action for development of China-Africa relations over the next few years. The FOCAC Summit opened new avenues of cooperation and opened new opportunities for both China and Africa, in line with the AU’s Agenda 2063, including the First Ten-Year Implementation Plan of Agenda 2063. China will roll out 10 major plans to boost cooperation with Africa in the coming three years. The big package covers the areas of industrialization, agricultural modernization, infrastructure, financial services, green development, trade and investment facilitation, poverty reduction and public welfare, public health, people-to-people exchanges, and peace and security. In order to help Africa accelerate agricultural modernization, China will carry out agricultural development projects in 100 African villages to raise rural living standards, send 30 teams of agricultural experts to Africa, and establish a “10+10” cooperation mechanism between Chinese and African agricultural research institutes. The 7th Ministerial Conference of FOCAC will be held in the People’s Republic of China in 2018.